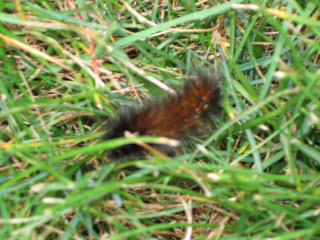 This is the first Wooley worm sighting. 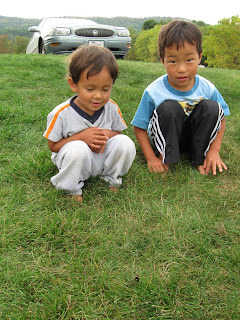 They were totally fascinated by the wooley worm. They watched and watched it and then came to check after supper too. Here is the wooley warm. You can decide what weather it is predicting.